Private life is becoming public, and public life is becoming private; so the message goes with this year’s Yebisu International Festival for Art & Alternative Visions (Yebizo). Organised by the Tokyo Metropolitan Museum of Photography as part of the Tokyo Culture Creation Project, and integrated with a dozen other events in Ebisu’s surrounding art galleries and venues, Yebizo is an annual event held to exhibit moving images and new media art on a large, celebratory scale. The subtitle for this, the fifth installment, is made up of two words—public and diary—joined by two arrows that point both left and right. While the word public alludes broadly to society, history, and authority, the word diary suggests the opposite; it has a much closer association to that which is personal, subjective and private. The idea of diaries interested the festival’s director, Keiko Okamura, because of its broad possibilities. “We can even consider newspapers and magazines as a kind of diary, as they can be, of course, to some extent just as subjective in their recording of history and news as any individual narrative,” she explained in a recent interview. Take, for example, the inclusion of a fascinating collection of covers from the Japanese wartime magazine, Shashin Shuho (1938-1945). Although the publication was established as a medium for propaganda, editors also invited ordinary readers to submit their photographs of everyday life. As a result, the covers feature a mix of public and private imagery. For example, some covers feature children playing, mothers holding babies, soldiers eating their bento, and a gymnastics carnival. With many of the covers seen together on the same wall, and with an awareness of its history, the reader-sourced photographs give a glimpse into parts of everyday life in war-time Japan, but there are surely many images and experiences strategically left out. As seen in many parts of the world, this generation’s exposure to new developments in communication technologies has resulted in more and more private citizens all over the globe finding a public stage. This has happened in many areas; art being but one. We can look, for example, to the popularity of reality television programs across many countries in the twenty-first century. One of the most successful, American Idol (and its global spinoffs) relies on non-famous competitors and audience participation via cell phones. Additionally, news coverage more frequently includes the opinions and observations of non-experts. In the world of advertising and public relations, a person’s private details, sourced from internet databases, are considered valuable commodities by advertisers who then create public communications based on this private information. In many ways, that which was personal has now become open to all. On Kawara is possibly one of the most famous artists to keep a diary, but his postcard series, titled “I GOT UP” (1968-79), resists both privacy and subjectivity. The works are a series of matter-of-fact records of times and dates that the artist then sent to friends via post on the back of some typical New York postcards. On the other hand, Nobuyoshi Araki, also featured in the festival’s exhibition, is of a generation of Japanese photographers in which sharing personal and usually private imagery was a somewhat more subversive act. He in turn has inspired generations of younger photographers. 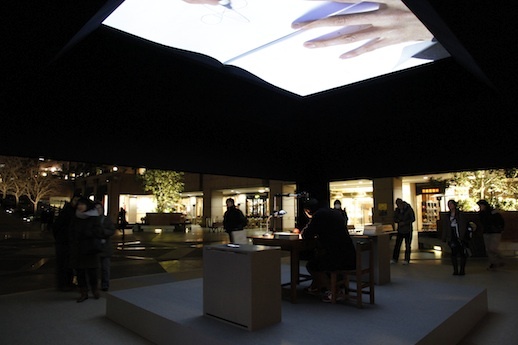 Okamura drew attention to Yasuhiro Suzuki’s off-site project, found nearby to the museum in Ebisu Garden Square, and described it as one of the most symbolic works of this year’s festival theme. Suzuki shares his diaries—full of thoughts and sketches—via a combination of video and live projection. 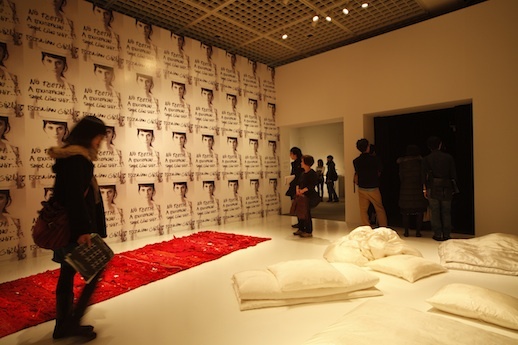 Takao Kawaguchi, a performance artist and member of Dumb Type, also provides an installation made specifically for Yebizo. His work, ‘a perfect life vol. 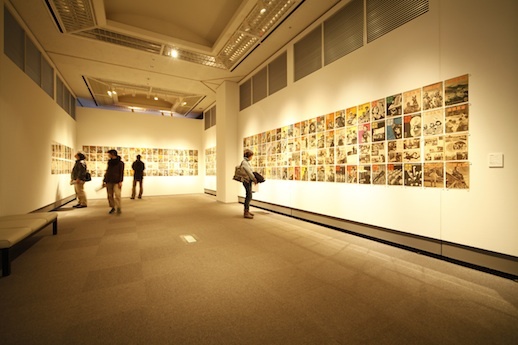 6 – From Okinawa to Tokyo’, moves the work he created for a recent residency to the Tokyo museum. In Okinawa, Kawaguchi responded to the archipelago’s history of persecution, particularly the isle’s anti-nuclear politics since the Second World War, using his personal experience of living and cycling in Okinawa’s main island. The work marks the first time the Yebizo festival has included performance within the exhibition program. 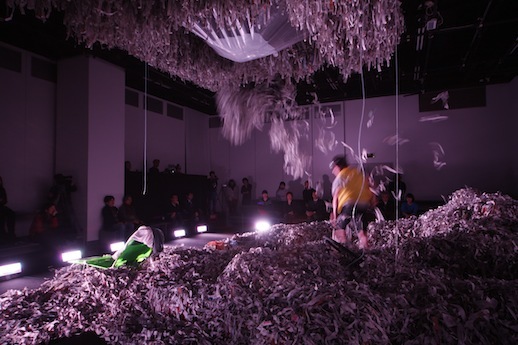 Audiences can view Kawaguchi’s installation at any time throughout the two weeks, but for the full experience, the artist will be performing in the space nine times throughout the festival calendar. Christopher Baker’s work also explores how private diaries can cross over into the public realm. What Baker has assembled is a gigantic collection of video monologues—the ‘talking heads’ type of video found in abundance on sites such as YouTube and Vimeo. These sites provide an immediate public platform in which ordinary people can share their ordinary lives. Titled ‘Hello World! or: How I Learned to Stop Listening and Love the Noise’ (2008), the work is simple in its concept but extremely interesting in its execution. 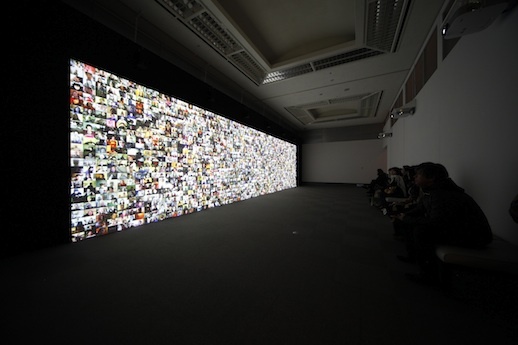 Hundreds of different faces address the camera at once, making a din throughout the gallery space. Viewers could not possibly take it all in at same time. In this way, the sheer volume of speakers trying to make themselves heard end up drowning each other out. Finally, Šejla Kamerić’s powerful artwork puts personal experiences among the broader history of conflict in her home country. Kamerić is a multi-disciplinary artist from Sarajevo, Bosnia and Herzegovina, whose work expresses complex feelings surrounding the Bosnian War during the 1990s. The artist was a teen when the fighting began. When talking about the difference between public and private life, Kamerić considers any material recording of one’s thoughts and memories as a public act. “If it is written down, in order for it to exist and outlive you, then that is in some way public,” said the artist during a tour of the exhibition. “When I make an artwork about my personal, subjective experiences, it becomes public. And it happens the other way too: when I make work about war in my country, it is unavoidably filled with my personal stories.” One of the works on display is called ‘Bosnian Girl’ (2003) a poster that has been pasted many times over the gallery wall. In it, the artist has included some upsetting graffiti about Bosnian women written in Sarajevo during the war. As a Bosnian woman, Kamerić responded deeply to this text when she first discovered it. To express this, she has included a photograph of herself in the poster, staring sadly at the camera above the text. Like many of the artists included in this year’s Yebizo, Kamerić is finding fault lines where the meaning of private and public has opened up for a new definition.